Zuri Benizet is happy living the life she knows and loves in her hood, Bushwick. What she doesn't need is Darius Darcy and his sharp jawline and arrogance to come and look down on the life she knows. Darius and his brother, Ainsley come from money and Zuri already knows what that means. Over the summer, she begins to learn that everything she thinks she knows may not be the truth after all and people can surprise you when you least expect it. 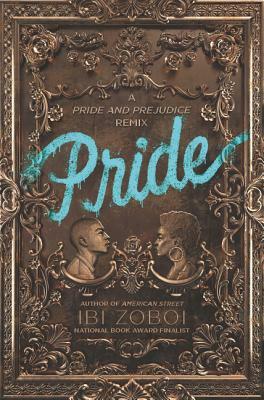 From the author of American Street, Ibi Zoboi, comes a retelling of Pride and Prejudice that is both relatable and important in a much more modern setting with issues pertaining to gentrification, class and what it means to have your beliefs challenged. You will fall for Zuri Benizet because of her unflinching Pride in her identity, her home and her family. And Darius Darcy is a bonus you won't be complaining about.